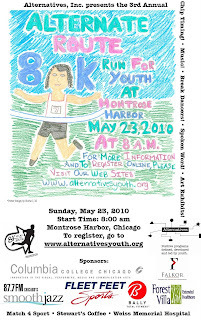 Alternatives’ 8K Run For Youth, May 23rd Reviewed by Edgeville Buzz on April 9, 2010 . While this event is still a while off, the cost will only be $30 through next Wednesday, April 14th. 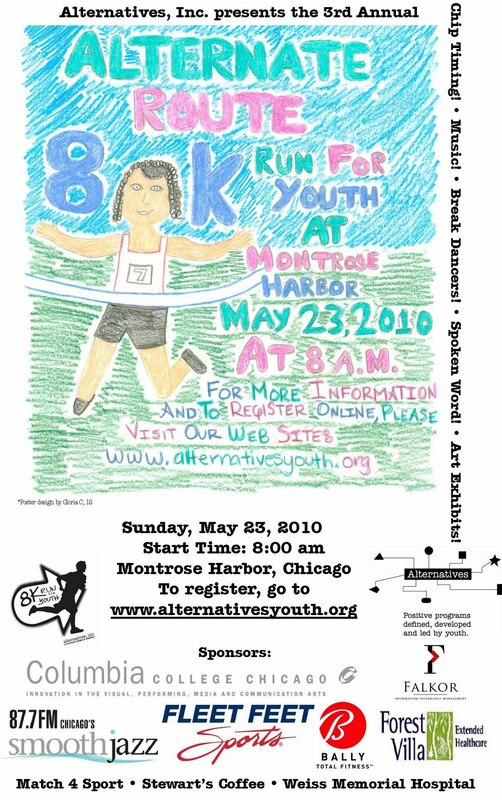 You can register at Alternatives Youth. The organization is also looking for volunteers to help out on the day of the race, doing this like handing out water to runners, or helping to direct and register them. All proceeds from the event will benefit Alternatives, Inc. If you’re interested in volunteering, or have any questions or comments please contact Stephanie Demarest with Alternatives, Inc. She can be reached at (773) 506-7474 ext. 233, or drop her an email at sdemarest@alternativesyouth.org.